The mighty roar against halal sprang up, literally out of nowhere, and occupied the public square with lightening speed. For three months, the anti-Halal campaign raged, subsuming all other concerns and devastating everything in its path, including the decades-old amity between Buddhists and Muslims (without which the Eelam War could have taken a different trajectory). Then, as abruptly as it came into life, halal died. Today Halal lays forgotten, in an unmarked grave, in the graveyard of bogus issues. Before its sudden and momentary elevation to the political centre-stage, halal languished in a stagnant pool of Sinhala-Buddhist extremist slogans, the sort which are either too impractical or too divisive for any sensible government to touch. And there are plenty of slogans left in that quagmire, quite a few even more inane and insalubrious than halal. Someone with a surfeit of power and a dearth of principles may decide to select another of those slogans, and turn it into the issue of the hour. The alacrity and the totality with which the BBS dumped the halal ‘issue’ indicate that the organisation is merely a cat’s paw without a will of its own. Rather like Wimal Weerawansa’s fast unto death, which, too, bubbled ferociously, for a day or two, and then died, as if it has never been. There are certain basic similarities in these non-issues. They appear and disappear suddenly, without warning. Their lives are of very short duration, but while they live they do so with unimaginable intensity. They are championed by extremist elements with official or unofficial links to the Rajapaksa government. None of these are rice-and-curry issues; or issues to do with the well being of the populace. None of these have anything to do with the innumerable real-life problems faced by Lankans. All the issues target some real or perceived enemy/non-friend of the Rajapaksas. Sometimes there is a slight variation in the pattern. Take, for instance, the issue of contaminated milk powder imported from New Zealand. The issue burst forth in March in a blaze of publicity. It was claimed that milk powder from NZ contained DCD, a hazardous agro-chemical. This naturally caused concern, general assumption being that responsible officials would not have echoed such a serious charge, without proof. In the following weeks, the story ebbed and flowed. Then in May, it was reported that the government will be banning the importation of certain milk powders, pronto: “The Health Ministry Food Advisory Committee headed by Director General of Health Services, Dr. Palitha Mahipala, has decided to ban the imports of tainted milk powder…… A Health Ministry official has told local media that a gazette notification regarding the ban will be published by the Director General of Health Services shortly”[ii]. Then, suddenly, the entire issue became a non-issue. The Health Ministry announced that the milk powder was as safe as houses and if there was DCD, it was in negligible – and thus non-harmful – quantities. The Ministry also declared war on anyone who continued to talk about contaminated milk: “legal action will be taken against any person or organisation which publicises false information about milk powder”[iii]. No reason was given for the about-turn. Is the milk powder contaminated? Was a campaign about contaminated milk powder commenced without ascertaining the truth, via proper tests? Why did the government decide to ban the importation of contaminated milk powder, one week, and decide that there was no contaminated milk powder, the next week? Did money pass hands to render contaminated milk powder kosher? Was the volte face caused by the need to protect the Hambantota Commonwealth? Or was the whole ho-ha a lie, aimed at reining in the Anchor agents in Sri Lanka, the Maharaja Group of Companies, which also happens to own the MTV? Can this government be trusted with anything? Can any dependence be placed either on its accusations or its absolutions? So what will be the new halal? Cattle-slaughtering? The 13th Amendment? Northern provincial election? It is hard to be sure of the particulars, but the general rule is clear: there will always be a new halal, an issue which incites and stupefies, terrifies and diverts…. The aim of such bogus issues is multifaceted. They intend to make Sinhala-Buddhists feel safe, under Rajapaksa rule. They also intend to make the minorities believe that the Rajapaksas are the only bulwark (however faulty) against innumerable hordes of Sinhala-Buddhist fanatics, frothing at the mouth and rearing to tear every Tamil/Muslim/Christian from limb to limb. The other intention is to make India and the West think that only a Rajapaksa government can keep the Sinhala Buddhist fanatics at bay and ensure for the minorities a modicum of rights and protection. For instance, the likes of Wimal Weerawansa, the JHU and the BBS would be allowed to rage and storm against the 13th Amendment, so that the Rajapaksas look moderate by comparison, a restraining influence, an indispensable part of the solution rather than the crux of the problem. (Eventually, a false quid-pro-quo may be created: postponement of the NPC election in return for the continued existence of the 13th Amendment). It is all a show. These fanatics are nothing more than clockwork toys, wounded and unwounded, depending on the Rajapaksa need. Rather like the phantom organisation the Tigers set up in late 2005/early 2006, Makkal Padai (Peoples’ Forces) to launch attacks on the Lankan military. The creation of no-issues is a method of control at the macro level. At the micro level, the Rajapaksas use bribery as the main method of control. On May 9th the cabinet approved a proposal to give former provincial councillors, who had served for more than two and a half years, duty-free vehicle permits to the tune of US$40,000[iv]. This in a country with a debt burden of Rs.6 trillion! Where bribery fails, pressure comes in. For instance, rugby referees are being pressurised to cover up the marauding deeds of a Presidential-brat. According to referee Orville Fernando, many referees are retiring: “it is because the governing body is not taking any steps that everyone is retiring. That means when the next club tournament comes there will not be enough people (referees). No one wants to become a referee”[v]. Similar tactics will be used to break the FUTA’s resistance to Colombo University’s new – and unethically-appointed – VC. When all else fails, there are selective acts of terror, targeted repression. Such as the attempted abduction of the Janarala News Editor[vi]; or the 10-hour interrogation of Sagarica Delgoda, the Resident Representative of the Friedrich Neumann Stiftung (FNS), at the Fourth Floor. According to the ITN, Ms. Delgoda was grilled about suspected links between the FNS and the UNP. The FNS has had links with both the major parties, openly, for decades. Spinning conspiracies out of ordinary, public, democratic practices is another Rajapaksa forte[vii]. The Rajapaksa shenanigans are creating a frightened country with insecure, suspicious people. 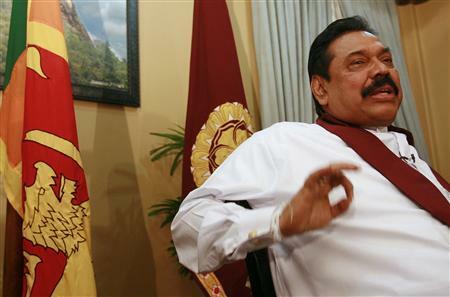 By seeking to fragment the opposition, the Rajapaksas are disuniting Sri Lanka. Hey! Mr Hypo, how can you be ever loving if you hate another human?? quoting from TG’s article “Today Halal lays forgotten” unquote. If the Halal certification was made a state controlled entity like the SLS from its inception, it would have been good for the state and the public, but why was it allowed to be controlled by a group of men claiming to be representing an organization be it religious or otherwise, that’s where it went wrong.